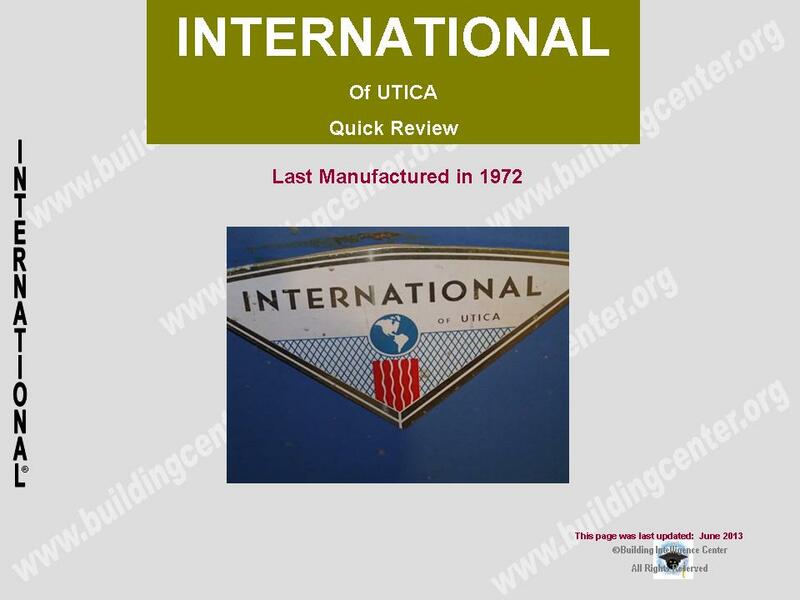 How to determine the date of production/manufacture or age of International of Utica® HVAC Systems. 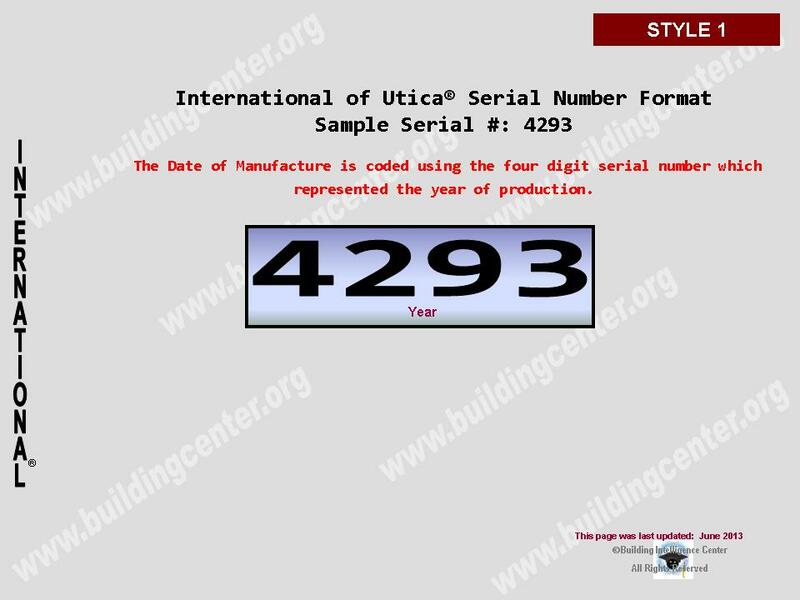 The date of production/manufacture or age of International of Utica® HVAC equipment can be determined from the serial number located on the data plate. 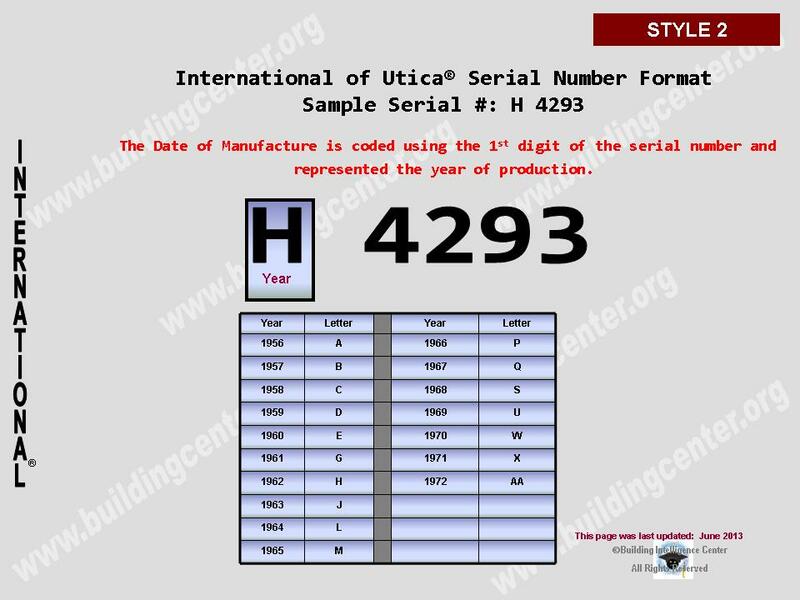 Year of manufacture can be determined by using the 4 digit all numerical serial number. 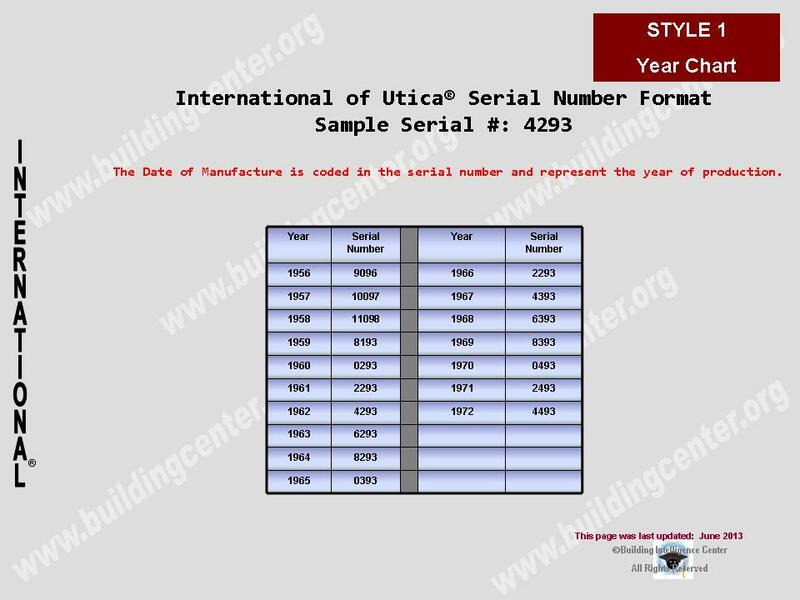 (See year chart below). 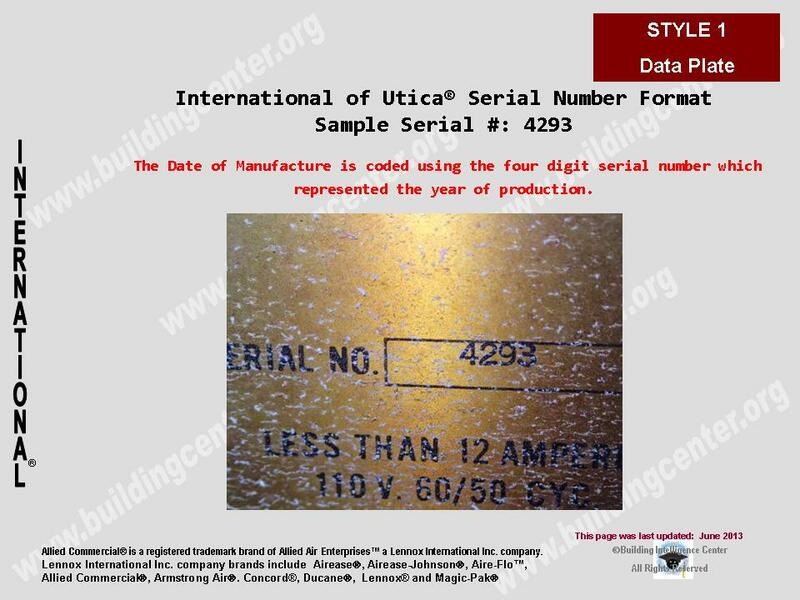 The 1st digit of the serial number represents the year of manufacture.